A huge joke — a three-hour-plus epic about an utterly useless man. I certainly don’t mean that as a criticism; this is perhaps Stanley Kubrick’s most unexpectedly funny film. 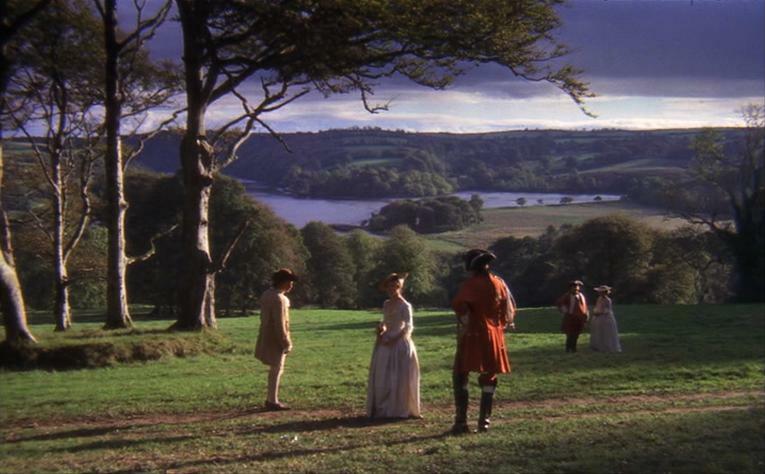 As Redmond Barry, who slimes his way up the social ladder to become Barry Lyndon, Ryan O’Neal may seem to be miscast, but I think that’s part of the joke, too. If you say O’Neal doesn’t have the chops to be the star of an epic — well, does Barry Lyndon really have the chops to be the hero of one? The exquisite formality of the 18th-century costumes, decor, and dialogue (the movie contains perhaps the most polite armed robbery in film history) is refreshing and, at the same time, so belabored that one senses Kubrick’s tongue firmly in cheek. He was daring people to take it seriously; he was daring people not to take it seriously. The best way to approach it is as a formal satire whose very style — all those painterly landscapes, all those dozens of slow zooms backward — points up the message that all this opulence and attention to manners conceal a moral emptiness, a world where a compassionless jerk like Barry can rise and thrive. All this, plus scenes that made me laugh harder than anything in most comedies these days. Every shot in the movie is breathtaking, but the candlelit scenes are amazing. A true neglected jewel in the Kubrick crown, and deserving of a fresh audience with its debut on remastered DVD.